In October, butternut squash is being featured for the Harvest of the Month (HOTM) program. Butternut squash is a winter squash with a delicious orange flesh. 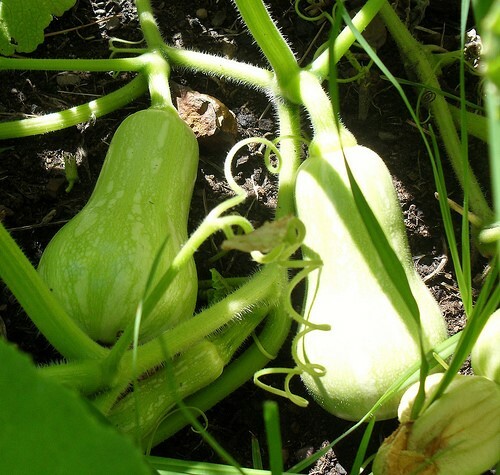 Check out these resources and ideas to celebrate Harvest of the Month with butternut squash! Serve butternut squash, roasted or baked as a vegetable side dish. 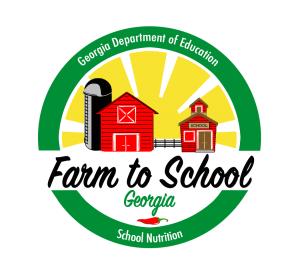 Butternut Squash Recipes – from Cobb County School District, Food and Nutrition Services. Try one of the above roasted butternut squash recipes and offer small bites as a taste test. Roast and mash butternut squash (try Spiced Butternut Squash recipe above) and offer small tasting cups to students. During the taste test, provide fun facts on butternut squash and/or include education about the nutrients found in butternut squash. Have students evaluate the taste test sample by filling out a survey to indicate if they tried it, liked it, and would be willing to try it again. What’s Cooking? USDA Mixing Bowl – Search for recipes using butternut squash in this interactive website. The website includes a searchable database for healthy recipes and can help with meal planning, cooking and grocery shopping, from the United States Department of Agriculture, Food, Nutrition and Consumer Services. MyPlate 10 Tips: Add More Vegetables to Your Day – A one-page tip sheet on eating more vegetables, from USDA, Center for Nutrition Policy and Promotion.